5/28/2014 - Bishop Laszlo Tokes confers Báthory Award for American Hungarian Federation President Frank Koszorus, Jr. 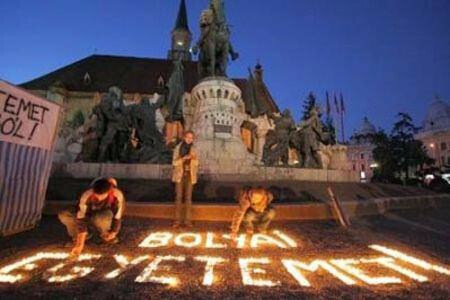 In 2010, on the recommendation of the Bolyai Committee (BKB), the Hungarian National Council of Transylvania (EMNT) had bestowed the Bathory Award upon Mr. Koszorus who has championed the rights of national minorities for over thirty years, but was unable to attend the awards ceremony in Transylvania in 2010 when BKB and EMNT also bestowed the award upon 14 other awardees, including US Congressman Tom Lantos and Gov. George Pataki [Visit the Bolyai University for a full list] or see the list in the right column. The Bathory Award is given to those outstanding individuals who contributed to cause of Hungarian-language higher education in Romania. EMNT president Tőkés László, who was instrumental in the 1989 Rumanian revolution that ousted Ceaucescu, presented the awards. In his opening comments, Mr. Tokes commented on how, even after 20 years of post-communism, the Rumanian government political and cultural elite fears calls for human and minority rights for ethnic Hungarians and how they try to convince the public about the Babes-Bolyai University's fake multiculturalism. Despite constitutional guarantees relating to the right to an education in the mother tongue, Rumania has failed to restore the independent Hungarian state university. In a 2006 statement, the American Hungarian Federation called attention to an egregious violation of human rights when two Hungarian professors – Peter Hantz and Lehel Kovacs – were expelled from Babes-Bolyai University for placing parallel Hungarian inscriptions below Romanian language signs at the so-called multicultural institution. ”It’s both a humbling experience and a great honor to have been considered for the Bolyai Award,” said Koszorus. ”While I am most grateful to BKB and EMNT for bestowing this honor upon me, it is the Hungarian people of Erdely who truly deserve our special recognition and focused attention,” he added. The Koszorus family originally hails from Nagyvarad and moved to Debrecen 300 years ago, while his mother’s family has a Szekely background. Koszorus is an attorney, government relations advisor and consultant in Washington, D.C. In addition to pursuing his professional career as an attorney, government relations advisor and business consultant, Koszorus, son of Holocaust Hero Gen. Ferenc Koszorus, Sr., has championed the rights of minorities, including the Hungarian minority in Romania, for over thirty years on a pro bono basis. Below is a brief summary of selected activities undertaken by Koszorus in this regard. Koszorus served as a public member of the U.S. delegation to the Paris meeting of the Conference on Security and Cooperation in Europe on the Human Dimension. In that capacity he assisted in the drafting of the U.S. intervention regarding minority rights in a plenary session of the Conference and participated in bilateral meetings with, among others, the Romanian delegation. He has lectured or served as a panelist on foreign policy, public diplomacy, human rights and minority rights issues (relating to Hungarian minority matters) at colleges, universities and other entities, including the Institute for the Study of Diplomacy of Georgetown University; Syracuse University College of Law; The American University (School of International Relations); Ohio Northern University; University of Indiana; Shepherd University; George Mason University; the International Monetary Fund; Radio Free Europe/Radio Liberty; and the Hudson Institute’s Center for European Studies. Koszorus testified before several congressional committees and other bodies, including the Senate Foreign Relations Committee, the House Committee on Ways and Means, the House Committee on Foreign Affairs, and the Commission on Security and Cooperation in Europe on issues such as MFN and Romania and NATO enlargement and minority rights. He briefs government officials on policy issues, including matters affecting the Hungarian minority in Romania. Koszorus debated NATO enlargement and the situation of Hungarian minorities on The Kojo Nnamdi Show, WAMU and has been interviewed by print and broadcast media. Koszorus is the author of numerous position papers and articles, including a chapter on The League of Nations Minority Protection System and an article in Foreign Policy Review, Autonomy: The Path to Democracy and Stability in Romania. He co-authored an article (with C. K. Zoltani) in “The Fletcher Forum of World Affairs,” Collective Rights Defuse Tensions. He also participated on an advisory panel for a Carnegie Endowment for International Peace project which culminated in the publication Self-Determination in the New World Order. Numerous letters and articles written by Koszorus have been published by various newspapers and other media outlets. He participated in a number of organizations that address issues concerning Central and Eastern Europe, U.S. policy toward the region and Hungarian minorities. 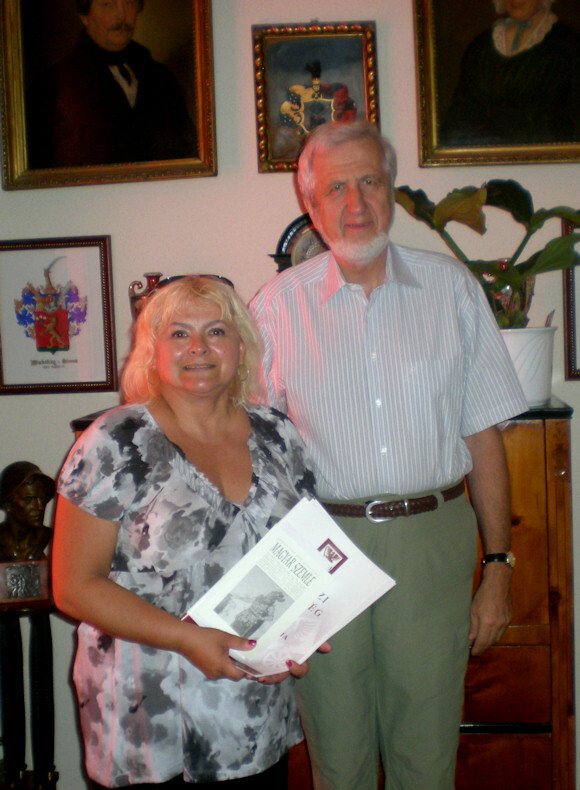 For instance, Koszorus helped found the Committee for Danubian Research, which assisted with the establishment of the Teleki Laszlo Institute, co-sponsored and disseminated scholarly books, and invited visitors from CEE to Washington, D.C. His decade-long involvement with the Washington-based International Human Rights Law Group focused on the Hungarian minority in Romania. Koszorus was an initial founder of the Hungarian American Coalition, and he vigorously spoke out in support of minority rights while serving on the Executive Committee and as Chairman of the Information Committee of that organization. He currently serves as President of the more than one hundred year old American Hungarian Federation where he continues to raise minority rights issues, such as autonomy, the restoration of the Babes/Bolyai University as a Hungarian institution, and the present-day impacts of the Treaty of Trianon. In November 2010 he represented the Federation at the MAERT conference in Budapest. Several of his writings can be found on the Federation’s website. 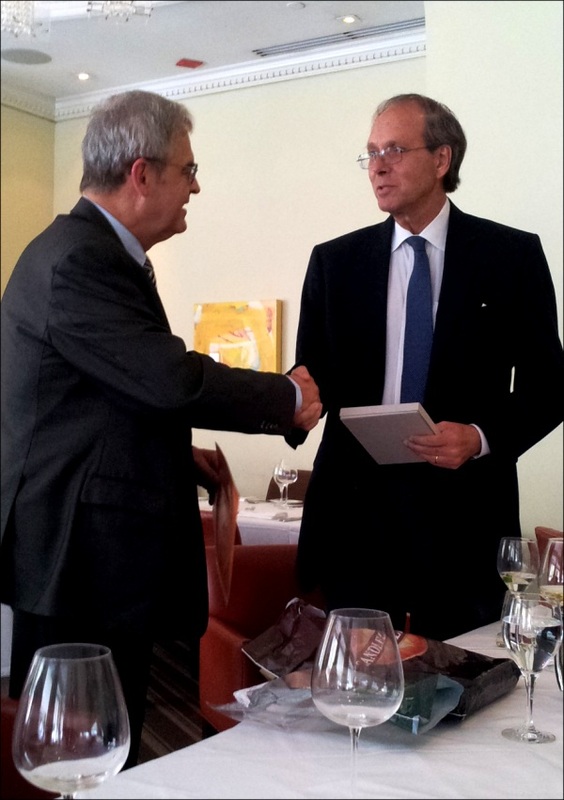 Honors received by Koszorus for his work on behalf of Romania’s Hungarian minority also includes the International Human Rights Law Group’s pro bono Service Award (also honoring his law firm). "A Báthory Díjat a Bolyai Kezdeményező Bizottság (BKB) javaslatára az Erdélyi Magyar Nemzeti Tanács (EMNT) oktatási szakbizottsága adományozza évente legfennebb tizenöt személyiségnek vagy szervezetnek, akik az adott évben, vagy a megelőző időszakban a legtöbbet tették a romániai, állami finanszírozású magyar felsőoktatás megteremtése érdekében."